A Walking Tour with our local Guide in Old Lisbon (Economy: Group Tour; Superior: Private Guided Tour; Deluxe: Private Guided Tour with Portuguese Wines and Tapas Tasting included). Other Services included in this price: Travel Consultancy, Customized Itinerary, Pre-programed GPS, Personalized Roadbook, Exclusive Guidebook, Helpline While Travelling, Welcome at the Airport, Private Transfers to/from Hotel on Arrival and Departure, Surfing Stand Up Paddle Class, 2 Boat Trips, 2 Walking Tours and Wine Tasting. Welcome to Portugal! Today our representative will be waiting for you at the airport, holding up a sign with your name on it. After giving you a folder with your tailor-made itinerary, your guidebook and our pre-programmed GPS, you will be taken to your first hotel in Cascais. This former fishing village not far from Lisbon became, in the 19th century, one of the Portuguese Royal Family's favourite places to spend the summer. When the royal family began to come here, the rest of the nobility followed, and they built some huge, impressive houses along this part of the coast. The Palácio dos Condes de Castro Guimarães, a fascinating building based on the ideas of Portuguese Romantic architecture, is an outstanding example. The museum belonging to the palace is open to the public and you can visit it. You can also take a stroll through the peaceful Parque Marechal Carmona, and see the works of the Portuguese painter Paula Rego in her Casa de Histórias, or you could take a look at the beachfront, while enjoying a delicious Santini ice-cream, a brand of artisanal ice-creams which has its roots in Cascais. 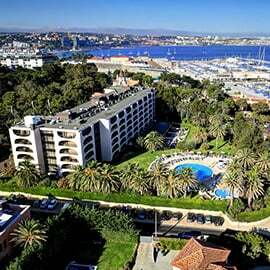 The Vila Galé Cascais Hotel overlooks the sea and is just a few meters away from the renowned Marina de Cascais, only 5 minutes away from the center of town, and walkable to the beaches. The Versátil Restaurant, where you can find the best of Portuguese cuisine, with all the flavors of the sea. The Pergola House is a charming Mediterranean mansion surrounded by large, colorful grounds. The rooms are exclusively decorated with classic furniture and historical painting. Located in the heart of Cascais, this bed and breakfast is a short walk from restaurants, shopping and the beach. A popular breakfast, including traditional biscuits, is served daily on the terrace or the meal area, which has a fireplace. 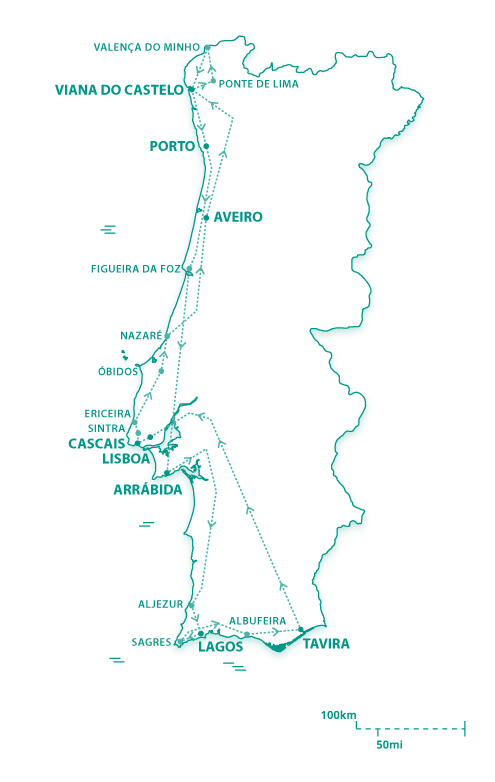 Casa Vela Guesthouse offers colorful and spacious accommodation, which pay tribute to the Portuguese Discoveries by being named after locations and spices discovered during the 15th and 16th centuries, when the boats sailed East. All rooms and suites have matching colours and accessories. The Guesthouse includes garden terraces with views of the pool and fountains and has many restaurants and local shops walking distance. 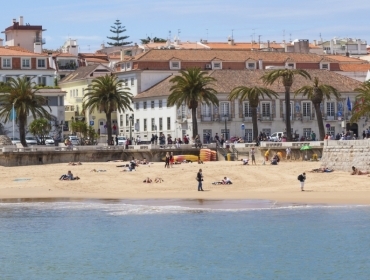 Set in the historical centre of Cascais, Villa Cascais Guesthouse offers accommodation in a renovated aristocratic residence of the 19th century. Boasting an elegant atmosphere, the property has views of Cascais Bay and the beach. 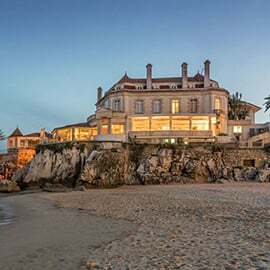 Situated on the cliffs of the Estoril Coast, the Albatroz Hotel enjoys superb views of the Cascais Bay. This welcoming and charming 5-star unit, one minute walk from the beach, has a sea-view swimming pool and a sunny terrace. 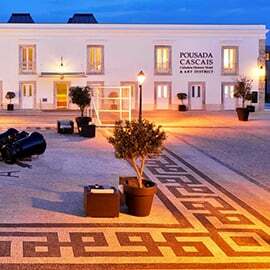 Pestana Cidadela Cascais Historic Hotel & Art District, is set within the walls of the historical fortress of the emblematic 16th century Citadel of Cascais, in the centre of Cascais. It is a unique place where ancient meets modern and some of the rooms are dramatically set into the former barracks, while others, more modern, enjoy spectacular views to the sea or over the interior plazas, turning each stay into a unique experience. 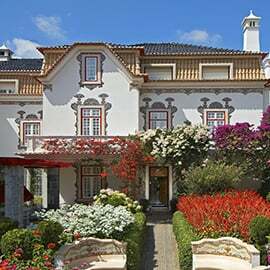 The Pousada is close to the centre of Cascais, beaches, shopping areas, parks and museums. 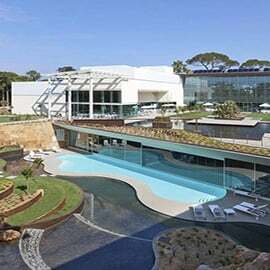 The Grande Real Villa Itália Hotel & Spa is the result of a transformation of the former residence of the exiled Italian kings, and it faces the Atlantic Ocean in Cascais. It features a thalasso spa with face and body treatments, a well-equipped gym and nearby golf courses. The palatial rooms of Grande Real Villa Itália combine classical furnishings with modern appliances, including free Wi-Fi and a flat-screen cable TV. The bathrooms include Italian marbles and Venetian mosaics. Onyria Marinha Edition Hotel & Thalasso, offers you the superior quality service and facilities, and allow you to combine the best of leisure as well as a range of restaurants offering the best of international and Portuguese cuisine. It also has a spa for therapeutic, beauty and relaxation treatments, ideal to refresh, rejuvenate and reinvigorate body and soul.